Knowledge management, KM, is still a subject of much debate. Some believe its days of glamour are over. However, looking at the sheer numbers of new KM4DEV community members of over 2,000 now compared to a few hundred early 2010, it has momentum! 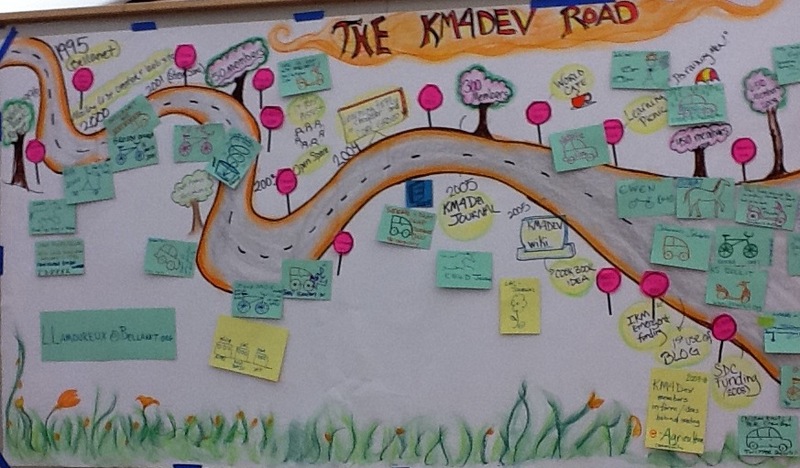 KM4DEV stands for knowledge management for development. People from a wide range of development organisations have formed the community in 1995 (then bellanet), on a voluntary basis. Some 70 members attended the this year's annual meetup in Rome. What can KM4DEV learn from TED? During various open space sessions I couldn't help to bring forward several times that I believe that theKM4Dev team can learn from the best practices of TED. Some examples: why not hold TED-like presentations (Making presentations in the TED style) at get-together but also in smaller working groups and even remotely through e.g. webinars. Another: the TED community. Online discussions are started by one individual, and are open to responses for a set time period. It keeps things fresh and sharp. A single words can be powerful. Paul Corney of Spark Now pointed out to me that even whole stories can be summarised in one word. The word mentioned at the Rome session that stuck with me most is 'confusiasm': a combi of confusion and enthusiam. Isn't confusion the driver for innovation, and a basis for learning by curiosity (and frustration of not comprehending)? I'm confusing myself here. KM is a subject of much debate; its definitions, its added value and positioning in organisations. Talking, thinking, designing and debating about this for a whole day brought an immense surge of enthusiamin me, or maybe.. confusiasm. What I feel that binds this community is a belief that knowledge collection, sharing and application is at the core of fighting (the good fight) against global challenges. The members join to learn, network and have fun, and at the same time discuss the KM challenges in their organisations: e.g. is a KM strategy relevant to develop? Should a KM manager fulfill the role explicitly (often without much mandate) or should it be integrated and entangled to have more effectivity? An interesting sum-up on the community's added value includes human, social, etc. etc. and something defined as ' energy' (read here). Confusiasmergy..